It is time to celebrate. No, you didn’t miss the race, it’s still a few days away, but ever since the halfway point of my first marathon I have believed that the race is the cherry on top of a towering blood, sweat, and tears sundae that has taken months to build and is the perfect occasion to dive in and celebrate. Naturally, I have expectations I want to meet, but I am more fit today that I ever dreamed I could be, and no matter what happens during the race, that won’t change. I know there will be moments when I ask myself, “Why are we doing this? Why do we constantly choose to hurt? We could be watching Fixer Upper right now?” I know the answer now, and I will then, (cue future exhausted-self eye roll), I do it to learn more about how to handle physical, mental, and emotional stress in a controlled environment, a race, so when those situations come up in real life, I can tap into those resources and get through it. If I can survive swimming in 54 degree water for ninety minutes, I can survive listening to disgruntled co-workers, friends, and/or family members and offer solutions to their grievances, no matter how grand or petty they may be, because when you are forced to keep moving forward when all you see is a cloudy bright light in front of you, and feel frigid water all around you, that is what you do in every other area of your life; keep moving forward. The chilly swim I mentioned, 2.67 miles swum in Resurrection Bay during Alaskaman. Being a triathlete builds tolerance. In the grand scheme of things, this race is not a big deal, it is only part of the big deal. I know that now, but I was not so sure the first time I raced it in 2010. At that time, I was a thirty-one year old slightly broken-in novice triathlete with eyes bigger than her stomach. I wanted to be great right away, and that is simply not how triathlon works. Or, more accurately, that is not how it works for most triathletes. I do enjoy reading how seemingly newbie triathletes show up and destroy their competition in their first or second races, then once we peel back the narrative we learn they either came from a competitive swimming background, or spent years cycling in the Himalayas, so really, they may be new to triathlon, but not new to challenging physical and mental conditioning. Those attributes are required to succeed in triathlon. Young, naive Taryn mid-pedal during IMAZ, 2010. Any way you slice it, triathlon rewards experience. Older, not-quite-as-naive Taryn mid-pedal during Superfrog, 70.3, 2017. Thankfully, I have more experience now than I did back then. I have raced more triathlons and marathons, survived my step-daughter’s teenage years, jump-started my career in production again after seven years away, and wrote and published a book. Every single one of those experiences had long stretches of discomfort, frustration, satisfaction, and bliss which made me more tolerant to handle whatever challenge the everyday throws my way. I have simply lived more life, and as an excellent result, I am in much better physical, mental, and emotional shape at thirty-eight than I was at thirty-one. However, what I DO know for sure about triathlon is that there is much more that I DON’T know. That is why I asked for help last year. Why keep fumbling around a dark room unable to see, when someone can simply switch the lights on for you? Reaching out to Hillary last year was the smartest decision I ever made to improve as a triathlete. I made remarkable gains working with her in 2010, but the places she has pushed and encouraged me to go this year surpassed what I hoped for, which is exactly what makes Ironman Arizona, 2017 so special. I used to think I could do it all on my own, instead I learned I needed to ask for help in order to achieve my goals. Hillary breaking it all down post Ironman Arizona, 2010. I need my coach and my team. The last two years have been the most fun and rewarding I’ve spent as a triathlete because I have been part of TeamSFQ, www.smashfestqueen.com. Having the opportunity to train with my teammates, share our accolades and devastations, and ask/answer questions in order to improve has been revolutionary. The support they consistently lend to me, and hopefully I lend to them, makes me a better person and absolutely a better triathlete. 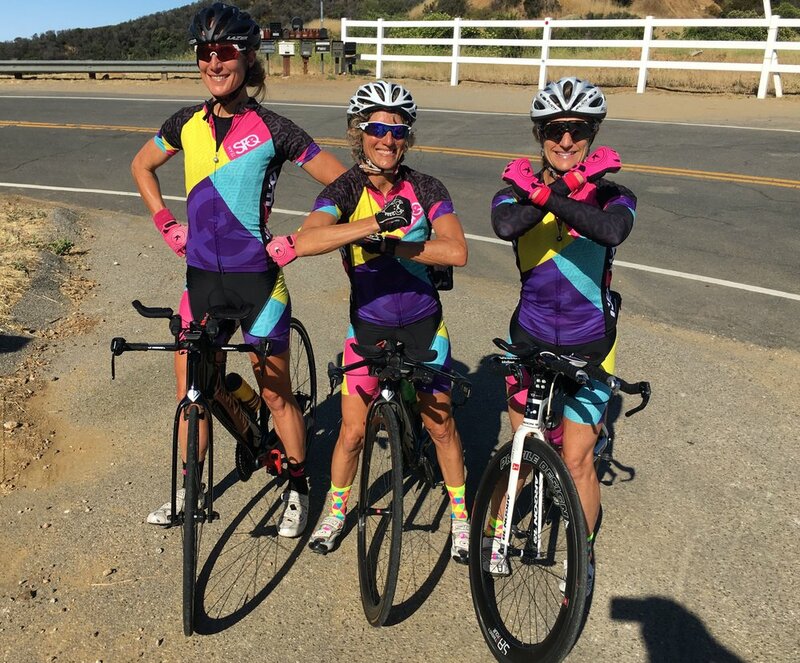 A few of the TeamSFQ Wonder Women, yours truly, Lynne and Lynne, after reaching the top of the famous Latigo canyon climb just above Malibu. Thankfully, I made the team again for 2018. 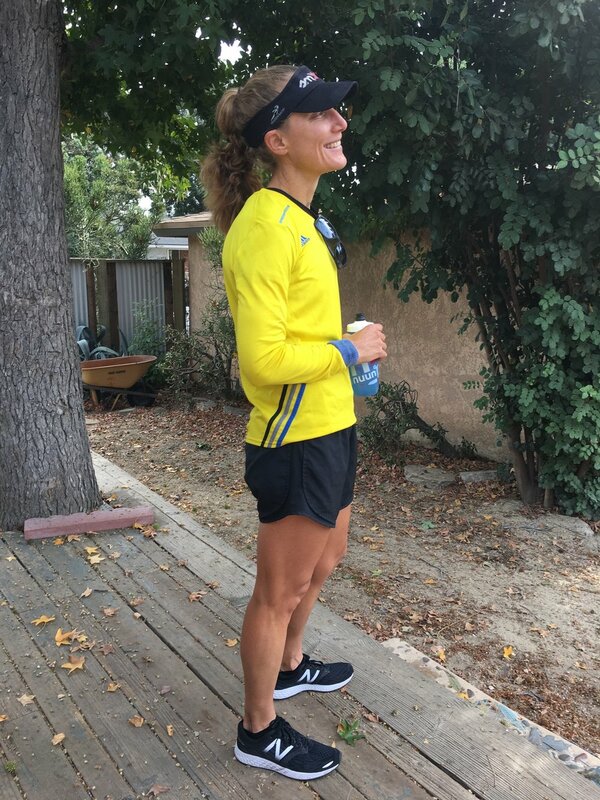 While I was running my last longish run of seventy-five minutes last Sunday, switching gears along the way practicing my pacing, so it will feel like second nature during the race, I thought about how lucky I am to be here. I have weathered a few storms in between now the first time I raced IMAZ, but every rough moment shaped me into the person I am today, and makes me appreciate my choice to be a triathlete even more. I am lucky to have not only found my passion, but have had the boldness to pursue it, and make it an integral part of my everyday life. Happy, contemplative moment after my long run on Sunday. This song from the group HAIM is wonderful. The video was shot on Ventura Blvd., which is one of the busiest streets in LA, so to have it shut it down like this for the shoot is in impressive feat by their production team. Plus, I often walk down the street in the very same way. :) Enjoy.